TaoTronics Portable Clothes Steamer Just $16.99! Down From $40! This TaoTronics Portable Clothes Steamer is now on sale at Amazon for just $16.99 down from $39.99 PLUS FREE shipping with Amazon Prime or for orders over $25! You know what makes ironing even more of chore? Having to pause every now and then to fill up the iron and not being able to get it done in one single go. This garment steamer optimizes its vast 200ml water capacity and provides up to 10 minutes of continuous steaming for a smoother ironing experience with less or no interruptions whatsoever. 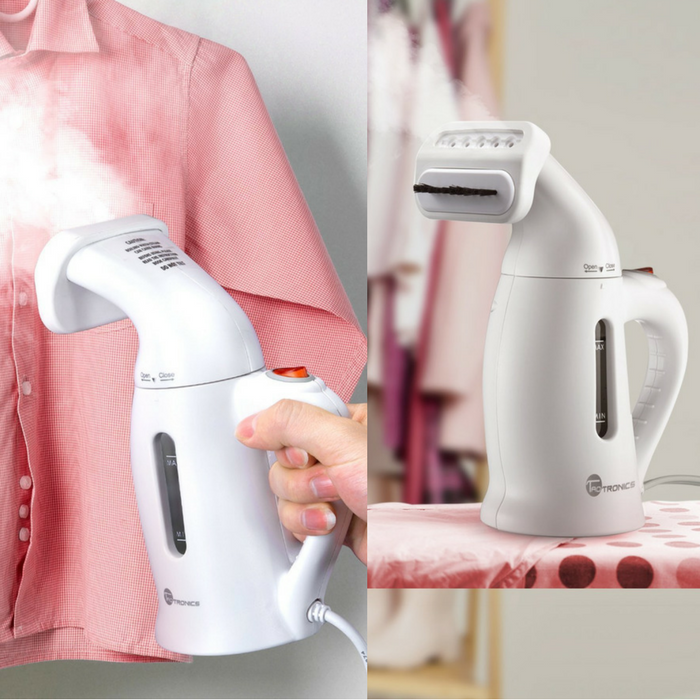 Enjoy a fabric steamer that comes packed with plenty of accessories to help you out dealing with the chore of ironing. 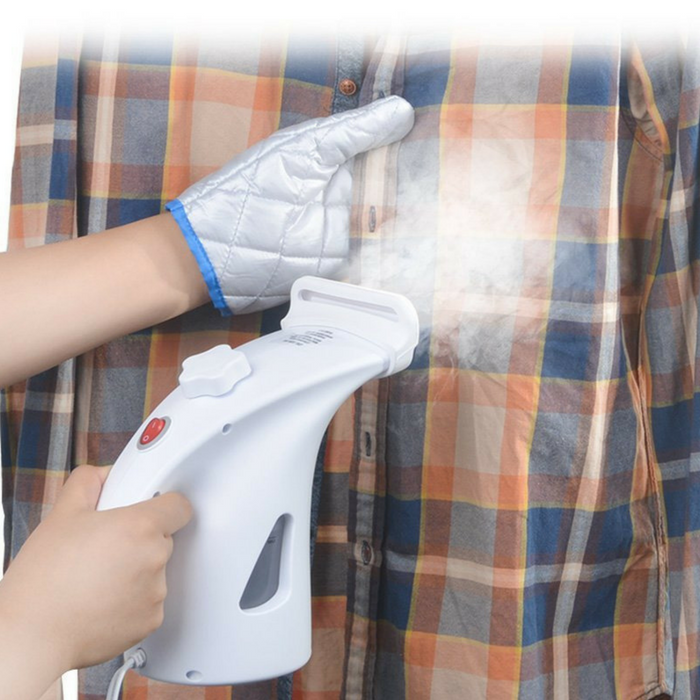 Benefit from a protective glove that offers an extra support and prevents burns, a travel pouch for easily carrying the steamer on business or leisure trips, and a brush that’ll withstand high temperatures to smoothen all wrinkles out without damaging your clothing. Full Of Goodies For Easy Ironing: Benefit from a protective glove, a travel pouch to store and go, and a brush that’s resistant to high temperatures for a smoother ironing experience. Unlimited Versatility: Safely iron all your clothes without fearing of ruining the fabric with an advanced steamer that’s delicate on all types of fibers. Easy One-Button Operation: Ironing is easier than ever thanks to steamer that heats up in just 120 seconds and features a foolproof one-button design for extra ease of use. BUILT-IN Safeguards: Enjoy extra safety while ironing with an ETL-certified fabric steamer that features both overheating and low water built-in safeguards. TaoTronics Essential Oil Diffuser Just $31.44! Down From $70! 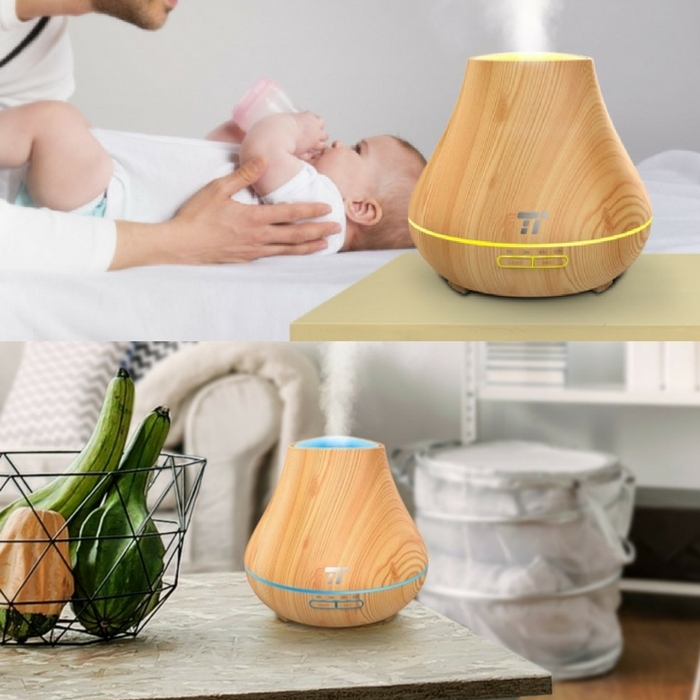 Have a good and peaceful sleep at night with this oil diffuser! It provides 14 hours of continuous mist for a purified air that’s easier to breathe. PLUS, no matter where you plan to use your humidifier, its timeless wood grain design will make it the perfect addition to any kind of décor. Very promising, isn’t it? Check it out! Head over to Amazon and score TaoTronics Essential Oil Diffuser for just $31.44 down from $69.99 PLUS FREE shipping with Amazon Prime or for orders over 35! PP Construction For Safe Use: Rest reassured with an essential oil diffuser that’s made of the same material of baby bottles; the polypropylene build won’t get corroded by any essential oil. 400ml Capacity For Up to 14 Hours Of Mist: Enjoy up to 14 hours of purified air with a 400ml water tank that’s vaster than the 300ml capacity of most similar products. Timeless Wood Grain Design: Admire a finely detailed wood grain pattern that relaxes you by simply looking at it; ease stress at the rhythm of the pulsing 360° colorful LED. Low Water Safeguard: Get extra peace of mind with the built-in water protection that’ll shut the oil diffuser off when the water is low.